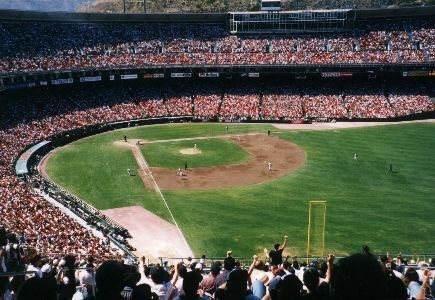 The view from right field, in the upper deck. This is above where I usually sit. An occasional HR lands up here.